Als sich Tsurumi Anfang der 80er Jahre in Düsseldorf niederließ, war der Pumpenhersteller hierzulande kaum bekannt. Heute, 35 Jahre später, ist Tsurumi Weltmarktführer bei Baupumpen. Welche Faktoren dazu geführt haben. Wie kaum ein anderer prägt Tsurumi den Pumpenmarkt. Die Japaner entwickelten schon 1953 ihre ersten Tauchmotorpumpen – ein Konstruktionstyp, der noch immer den Markt dominiert. Tsurumi ist konsequent: Seit Gründung im Jahr 1924 baut man nichts als Wasserpumpen. Der Start in Düsseldorf erfolgte mit kleiner, komplett japanischer Mannschaft. Das Produktprogramm bestand hauptsächlich aus Abwasserpumpen für Kommunen. Mit zunehmend deutscher Belegschaft verbesserte sich die Marktdurchdringung ab `94. Ein Jahr später nahm der Hersteller das Baugewerbe verstärkt ins Visier – und marschierte durch bis zur Weltspitze. Mit heute weltweit 1000 Beschäftigten erwirtschaftet Tsurumi 300 Millionen Euro Jahresumsatz und produziert in vier Fabriken 1800 Pumpentypen für praktisch alle Aufgaben der Wasserlogistik. Schwache Ingenieurskunst? Minderwertige Materialien? Geplante Obsoleszenz? Alles Fremdworte für Tsurumi. Der Hersteller fertigt Pumpen, die sich durch hohe Leistung und lange Standzeiten auszeichnen sollen. Ultraharte Materialien, clevere Kühlung, trockenlaufsichere Zwangsschmierung, einzeln vergossene Stromleiter: In vielen Punkten zeigt die Marke, was sie unter Qualität versteht. „Stronger for longer“ lautet der passende Firmen-Slogan. Think big, heißt das Fertigungsmotiv bei Tsurumi: Ein Produkt wird in großer Stückzahl mit hohem Automationsgrad gefertigt. Tsurumi betreibt die weltgrößte Fertigung mit einer Jahreskapazität von einer Million Aggregaten. Finale Einzeltests sollen kleinste Rücklaufquoten garantieren. Den effizienten Pumpenbau mit vielen Gleichteilen können Anwender leicht nachvollziehen: Wenn sie die Wartungen selbst durchführen, was konzeptionell möglich ist. Unterm Strich stehen niedrige Kosten. Branchenüblich ist die Auftragsfertigung, mit Wochen und Monaten an Wartezeit für den Kunden. Nicht so bei Tsurumi. Die Japaner unterhalten riesige Zwischen- und Auslieferungslager. 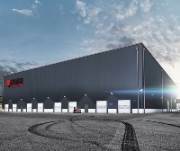 Für Europa etwa fungiert Belgien als zentrales Logistikzentrum. Hier landen die Flieger aus Japan. Ein beträchtlicher Teil des Sortiments wird binnen 24 Stunden zur Auslieferung gebracht. Selbst Großaggregate sind schon wenige Tage nach der Bestellung beim Kunden. Die Ersatzteilversorgung in der EU erfolgt zentral aus Düsseldorf. Erfolg hat bekanntlich viele Väter. Bei Tsurumi hat die Händlerschaft einen bedeutenden Anteil. Der Hersteller fördert und pflegt die Partnerschaft zu jenen, die nah am Anwender sind. Dem Kunden kommt man mit einem dichten Netz an Beratungs-, Verkaufs- und Servicestellen entgegen. Allein in Deutschland sind es über 250. Damit finden sich kompetente Ansprechpartner meist in unmittelbarer Nähe. Das erleichtert auch das Mieten der Pumpen – für viele eine erste und gute Gelegenheit, das Produkt näher kennen zu lernen. Der vielleicht interessanteste Punkt. Tsurumi setzt auf eine effiziente Organisation ohne Pomp. Der Entscheidungsweg ist kurz, die Eigenverantwortung groß. Vielfalt und Respekt sind hohe Werte, die aktiv gelebt werden – in Düsseldorf etwa von Beschäftigen aus acht Nationen. Gemessen an seiner Marktstellung ist der gesamte Europa-Betrieb relativ klein: Sieben Unternehmen in sechs Ländern mit 100 Mitarbeiterinnen und Mitarbeitern stemmen das Geschäft. Das gefällt den Kunden, hier finden sie noch Gehör. Und das Wachstum geht weiter. Erst vor wenigen Wochen nahm Tsurumi sein neues Werk in Vietnam in Betrieb. Der Erfolg ist nachvollziehbar: Wer eine Pumpe benötigt, erhält sie schnell und überall, kann sie mit hoher Wahrscheinlichkeit lange nutzen und im Problemfall oft selbst wieder in Gang bringen, oder vielerorts Fachleuten zum Service bringen. Das ganze Konzept steht nicht zuletzt für Nachhaltigkeit – was schon der Unternehmensgründer seinen Entwicklern vorab, als es noch keine Marketingfloskel war. Tekirdag Raki Gold Series ist ab sofort in einer hochwertigen Geschenkpackung erhältlich, die neben jeder Aktionsflasche Tekirdag Gold 0,7l ein exklusives Raki-Glas und ein Mezze-Teller für die Konsumenten bereithält. Das Raki -Glas besticht durch sein edles Design, das die Flaschenform von Tekirdag Raki Gold aufgreift und mit dem unverkennbaren goldenen Logo verziert ist. In Kombination mit dem edlen, weißen Mezze-Teller bietet es eine hervorragende Möglichkeit, das Geschmacksprofil des im Barrique ausgebauten Raki umfassend und stilecht zu erkunden. Der Mezze-Teller wurde in Form eines Weinblattes gestaltet und erweist sich so nicht nur als Blickfang auf der Raki-Tafel, sondern vermittelt den Reichtum der türkischen Tekirdag-Region, die unter anderem für ihre erlesenen Weintrauben bekannt ist. Die hochwertige Geschenkpackung wird, solange der Vorrat reicht, dem LEH und FH in Deutschland als Kartonware zur Verfügung gestellt. Die UVP liegt bei 25,99€. India is the first country for Mahou Group where it has a fully owned subsidiary outside of Spain. The company has its brewery located in Bhiwadi, Rajasthan. The group entered the Indian market in August 2012. Non-alcoholic and low-strength beers are now “incredibly important” to UK pubs, according to the head of the British Beer and Pub Association (BBPA), as the no ABV category ferments in Europe. Simmonds’ views coincide with a report published by the Brewers of Europe on December 4, which shows that non-alcoholic beer now counts for 2% of Europe’s beer production by value. Sales of European non-alcoholic beer rose to reach nearly €900 million (£800 million) in 2017. However, a growing number of breweries are also producing lower strength beers, with an ABV between 1% and 3.5%. South London brewer Small Beer Co launched in November 2017 with a core range consisting of a Pilsner-style lager made with British malt and Saaz hops (2.1% ABV) and a dark lager (1% ABV) described as having “dark berry fruit on the nose” and a “coffee-like palate and smoky finish”. “There’s plenty of great tasting beers below 4%,” she said, “and we really are starting to see growth in this area. “We’ve seen in the popularity of session beers that the craft beer drinkers really enjoy beers with lower alcohol contents, so the natural progression would be to expand the low and zero alcohol beers. The British Beer and Pub Association (BBPA) welcomed a proposal by the European Commission to extend the threshold for low alcohol beers that can benefit from reduced duty rates in May this year, from 2.8% ABV to 3.5% ABV. Simmonds is currently in Brussels working with other European industry leaders to negotiate a change in the legal requirements for taxing non-alcoholic and low-strength beers. But in announcing its Kentucky expansion, Diageo pointed to forecasts for continued growth in the bourbon category in coming years. The Bulleit brand had double-digit growth in the U.S. in the past year, it said. Diageo said the new Lebanon distillery — about 65 miles southeast of Louisville — will supplement its Kentucky operations at the historic Stitzel-Weller distillery in Louisville and the Bulleit distillery, which began operations in 2017 near Shelbyville. The Lebanon distillery is expected to create 30 new full-time jobs, the company said. The facility will be on the southern tier of the state's main bourbon production belt in central Kentucky. Marion County officials cheered news of the new whiskey production venture coming to town. "With Marion County's rich history in the bourbon industry, we are proud and humbled to add Diageo's name to this evolving legacy," said Lebanon Mayor Gary Crenshaw. Kentucky economic development officials said on December 13 that Diageo is in line for performance-based tax incentives of up to $4 million from the state as a result of the venture. Kentucky distillers produce about 95 percent of the world's bourbon supply, according to the Kentucky Distillers' Association. Diageo's other bourbon and American whiskey brands include Blade & Bow, I.W. Harper, Cascade Blonde, Orphan Barrel and Seagram's 7 Crown, but not all its products in those categories will be produced at the new Kentucky distillery, it said. American whiskeys account for just a fraction of Diageo's overall net sales. The company's most prominent brands include Johnnie Walker, Crown Royal, Smirnoff, Captain Morgan and Guinness. Chu Liangjing still remembers when his company did business overseas 30 years ago, and had no idea where its products were sold, the China Daily reported on December 6. "It was like a 'blind' sale without knowing the other end of an order. There seemed to be several walls between the sellers, overseas dealers and consumers," said Chu, deputy general manager of Tsingtao Brewery International. Chu started working at the international department of Tsingtao Brewery, based in Qingdao, Shandong province, in 1986. At a time when China was dominated by a planned economy, the brewery didn't have the right to directly export products. Instead, beer products were supplied to a designated foreign trade corporation under the administration of the provincial government. Founded in 1903 by German and British merchants, Tsingtao Brewery bears the name of its birth place. It had gained some renown by the 1980s, but was still far from being a world-leading beer maker. Things changed after Tsingtao Brewery was granted the right to export directly in April 1987. Chu said he was told it should shift its focus to real customer needs and ought to learn how to compete in global markets. "Hearing that team talk, I was almost petrified, but I quickly came back to myself and realized it was time for a tremendous transformation," he said. In 1992, Tsingtao Brewery launched its first overseas office in Italy and then sent staff members to wholesale agencies in countries such as Canada and France. By establishing joint sales companies, the brewery quickly expanded its overseas business. Now the company has become one of the world's largest breweries in terms of output, with products exported to more than 100 countries and regions. "As a participant, witness and beneficiary of the country's reform and opening-up policy, Tsingtao is also an active explorer and practitioner of China's successful market-orientated economy, enterprise capitalization and internationalization," Chu said. Statistics from the Centre for International Communication Studies last year showed Tsingtao has acquired more than 90 percent brand recognition in many developed countries in Europe and North America. "Tsingtao will continue to resonate with the country's development and social progress and make efforts to enhance the global influence of Chinese brands," Chu said. After the boom and subsequent plateauing of craft beer sales in the US, on-premise experiential drinking establishments are managing to draw in new customers. Brewpubs, taprooms and game-based bars all saw a surge in popularity in 2018, BeverageDaily.com reported on December 10. Three years ago in-store craft beer sales were seeing a sales growth increase of 12.9%. In-store craft beer sales took a knock between 2017 and 2018, declining 0.2%, yet still reaching $4.9 bln. And according to Nielsen data, there are positive signs of sales growth within US on-premise establishments. Drinkers are now more drawn to experience-based locations for their alcohol consumption than typical bars with no extra incentives. Consumers said they have visited experiential locations 'more often' in the last year, rather than 'less often', with 43% trying out game-based bars, 42% at a brewery tasting room, 42% at rooftop bars, 42% at premium bars and 41% at groce-rants (a cross between grocery market and restaurant or cafe). “Despite the appeal of experiential drinking venues among the younger consumers, however, the desire to find new places to drink isn’t exclusive to Millennials. In fact, 15% of all US consumers of legal drinking age say they have visited a brewpub/taproom in the last three months, with 42% saying they had visited more than they did a year ago,” Nielsen said. IPAs are the best-selling type of craft beer at US bars and restaurants with 24.9% of sales. Brewpub visitors are more likely to buy IPAs in the western (52%) and southern (49%) US than the midwest (46%) and northeast (44%). Seasonal beers take the top spot in the midwest (51%) and northeast (47%). According to Nielsen, men (32%) are more engaged with and likely to visit local taprooms than women (26%). But overall, drinkers are showing up to brewpubs because they want to try something new and have a variety of options (55%). Today’s consumer demands many factors that go into a craft drinking experience. They enjoy supporting small businesses, which is perfect for local brewers. Consumers also want to know how their foods and drinks are made, and taprooms typically offer tours of their facility and brewing process. Convenience, flavor and sample tastings all play into the reasons more drinkers are turning to craft alcohol options. Noted turn-offs that may be keeping the masses from turning up at their local brewery include big crowds (24%), high prices (23%) and an intimidating atmosphere for the average drinker who isn’t well-versed in craft beer (17%). At least 50% of craft beer drinkers also visit other bars and restaurants for ‘reasons related to craft beer,’ outside of taprooms or breweries. Men and women both enjoy the craft drinking experience as something that is higher quality than other alcoholic beverages (33% vs. 23%). “The craft beer experience is now much more than just the physical act of drinking craft beer. Tasting rooms and brewpubs provide an opportunity for consumers to engage with the culture of craft beer, and right now, there is a golden opportunity to engage with drinkers in a memorable, meaningful and interactive way,” Nielsen said. The price of alcohol could rise "significantly" for Irish and British customers if the EU-UK Brexit backstop deal fails to make it through a Westminster vote and a no deal crisis occurs, BreakingNews.ie reported on December 3. On Tuesday, December 4 the Alcohol Beverage Federation of Ireland is expected to warn "immediate" tariffs on beer, cider, glass bottles and other items will be introduced at the end of March if the deal collapses, in addition to customs check delay "additional costs" and extra VAT expenses. In an opening statement to the Oireachtas agriculture committee, the ABFI will say that according to the Central Statistics Office the alcohol trade between Britain and Ireland was worth €364 mln last year. However, if a no-deal situation occurs, it will warn all of these exports will be unable to avoid strict tariffs on products being sent from both countries - a situation the group said will "damage" the sector and hit customs in the pocket. "The ABFI would urge all parties to seek to ensure that a withdrawal agreement is concluded and that a no-deal Brexit is avoided. A no-deal Brexit would be seriously damaging to the Irish and UK economy, including the all-island drinks industry. The potential consequences of a no deal Brexit include immediate tariffs on barley, malt, glass bottles, apples, finished cider and other supply chain inputs; regulatory and customs checks at the Irish border leading to significant delays and additional costs, and requirement for up-front VAT payments on cross-border trade," the group will say. The ABFI is also expected to note that any introduction of a hard border or customs checks will force trucks carrying alcohol-related goods to face up to 23,000 hours in delays crossing the border from next March. In such a situation, it will say the likely extra travelling cost per truck could be €100 - a new expense which may be pushed onto customers. At the same agriculture committee this afternoon, the Food Drink Ireland organisation will issue a similar warning, saying food and alcohol prices will "rise significantly" unless a Brexit deal is secured. Highlighting many of the same concerns, the second group will say a number of Irish industries have genuine "exposure" to any Brexit fallout, with 51% of beef, 24% of dairy and 62% of "prepared consumer food" Irish exports currently being sent to Britain. "In the event of a no-deal scenario, World Trade Organisation tariffs could increase EU food and drink export prices to the UK significantly. "Higher trade prices will, therefore, cause export volumes from the EU to the UK to drop significantly," it will warn. Die Preisverleihung zum German Design Award 2019 findet im Februar kommenden Jahres in Frankfurt statt. Mit NIKKA Days bringt die japanische Whisky-Destillerie einmal mehr einen Whisky auf den Markt, der nicht nur Tradition und Innovation in der Herstellung verbindet, sondern auch ein japanisches Lebensgefühl vermittelt. Seit jeher ist das Unternehmen von einem kulturellen Spannungsfeld geprägt – zwischen dem historischen und modernen Japan, West und Ost sowie Natur und Mensch. Der neue NIKKA Days bewegt sich zwischen diesen Polen und möchte den Genießer mit auf eine Reise nehmen. NIKKA Days ist für jeden Anlass der perfekte Begleiter. Ab sofort ist der fein abgestimmte, besonders weiche Blended-Whisky mit blumigem Bouquet und weichen Noten erhältlich. Der Blend aus leicht getorften Whiskys überzeugt sowohl Whisky-Connoisseurs als auch Whisky-Einsteiger durch ein besonders weiches und nuancenreiches Geschmacks-Erlebnis – Getreide, Karamell und geröstete Nüsse mischen sich mit leichter Torfigkeit und perfekt balancierten, blumig-fruchtigen Noten von Aprikose und Vanille im Abgang. 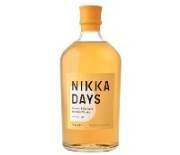 Diesen besonderen Charakter erhält NIKKA Days durch sein Blending aus über 100 verschiedenen Qualitäten, hauptsächlich Coffey Grain und Miyagikyo. Damit steht NIKKA Days auch geschmacklich für feinen und facettenreichen Genuss, der sich prinzipiell zu den unterschiedlichsten Anlässen genießen lässt. Unterstrichen wird die aromatische Reise durch ein einzigartig zeitloses, gradliniges Design. Das hochwertig gestaltete Packaging greift die optimistische Lebenseinstellung mit einem Gelb-Ton als besonderes Farbelement auf, das auch den Verschluss und das Etikett ziert. Das, zusammen mit dem schlichten und modernen Logo, macht die Flasche zu einem echten Hingucker. NIKKA Whisky ist durch seine preisgekrönten, international anerkannten Whiskys in den letzten Jahren weltweit zum Symbol des japanischen Whiskys geworden. Bereits seit über 80 Jahren steht das Unternehmen für perfektionierte Whisky-Kunst vereint mit Innovation. 1934 gründete der talentierte Masataka Taketsuru einst das Unternehmen, nachdem er die Kunst der Whisky-Herstellung in Schottland erlernte. Seitdem fließen nicht nur Leidenschaft und perfektioniertes Wissen in die Whisky-Herstellung, sondern auch japanische Lebensweisheiten. Die neue Qualität NIKKA Days verkörpert dabei eine besonders positive Haltung und Denkweise – die erleuchtende Erkenntnis, dass jeden Tag eine neue Reise beginnt, die spannende Momente bereithält. Hochwertige Whisky-Qualitäten werden bei NIKKA in zwei Destillerien an zwei Standorten gefertigt. „Yoichi“ wurde 1934 auf der Insel Hokkaido eröffnet und verleiht ihren Malts dank salziger Meeresluft und torfigem Grundwasser noch heute einen maritimen Charakter. Die hiesigen Brennblasen werden noch mit Kohlefeuer angetrieben und beeinflussen den tiefen Charakter der Destillate. Diese Methode ist weltweit, im Verlauf der andauernden Modernisierungen, einzigartig geworden und zeugt von der außergewöhnlichen Leidenschaft für Tradition und Perfektion. Die zweite Destillerie „Miyagikyo“ liegt auf Honshu am Fuße des Hochgebirges. Die Eröffnung ist auf das Jahr 1969 datiert. Für die Region typisch reine Luft und hohe Luftfeuchtigkeit resultieren in weichen, komplexen Single Malts mit fruchtiger Note. •	The packaging design requires specific base geometry and specifications. •	The Base OverStroke System (BOSS) allows the mechanical forming of the bottle base during the blowing process. •	The inverter contributes to the base inversion. This step takes place after filling and capping, tilting and cooling and before labelling. It balances the negative pressure induced by the beverage cooling in the bottle from 85°C to ambient temperature. Die USB Bochum GmbH rüstet einen Teil seiner Diesel-Transporter (LKW-Kipper) zusammen mit der Firma ORTEN Electric-Trucks zu vollelektrischen Nutzfahrzeugen um. Bereits seit mehreren Monaten fährt die USB-Stadtreinigung mit einem auf Elektroantrieb umgebauten Kehrrichtsammelwagen. Drei weitere Fahrzeuge sind beauftragt. Für diese und andere Projekte hat das Bundesministerium für Verkehr und digitale Infrastruktur (BMVI) Förderungen zugesagt, die aus dem „Sofortprogramm saubere Luft 2017 – 2020“ stammen. Mit den drei beauftragten Umbauten von bestehenden Diesel-Kehrichtsammelwagen setzt der USB eine erfolgreiche Zusammenarbeit mit dem Familienbetrieb ORTEN Electric-Trucks mit Sitz in Wittlich in Rheinland-Pfalz fort. Seit Frühjahr 2018 fährt bereits erfolgreich einer der umgebauten Kehrichtsammelwagen im Alltag der Stadtreinigung. Unter der Motorhaube des umgebauten Mercedes-Sprinters sucht man einen Motor vergebens. Statt Motor ist die E-Box, eine Batteriebox mit Batteriezellen (ca. 60 Stück) und der integrierte On-Board Charger zu sehen. Insgesamt sind sechs Batterieboxen in dem Fahrzeug verbaut, damit die nötige Kraft zusammenkommt. Etwa 87 Kilowattstunden können gespeichert werden. Genug für etwa 150 Kilometer Strecke. 900 Kilogramm Zuladung kann der Kehrrichtsammelwagen aufnehmen. Mehr als genug für einen durchschnittlichen Arbeitstag. Die USB Bochum GmbH hat seit mittlerweile fast einem Jahrzehnt Erfahrungen mit Elektromobilität. Angefangen hat es 2008/09 mit der Anschaffung eines elektrischen Pritschenwagens, der auch heute noch in der Stadtreinigung in der Bochumer Innenstadt eingesetzt wird. Es folgten vollelektrische Pkw für Einsatzfahrten innerhalb des Stadtgebietes. Mittlerweile hat der USB sechs vollelektrische und zwei Hybrid-Fahrzeuge im Fuhrpark. In der Nutzfahrzeugbranche haben elektrisch angetriebene Fahrzeuge noch Seltenheitswert, da sie zum einen sehr teuer in der Anschaffung und zum anderenihre Alltagstauglichkeit noch beweisen müssen. Die Förderung des Bundesministeriums ermöglicht es dem USB, nun Investitionen in diesem Bereich zu tätigen. Mit im Förderpaket enthalten sind neben den drei weiteren Umbauten von Diesel-Fahrzeugen beispielsweise auch der elektrische Aufbau eines Sperrmüllwagens, der Ausbau der Ladeinfrastruktur durch Schnellladesäulen und Wallboxen sowie die Anschaffung eine E-Scooters und zwei weiteren vollelektrischen VW Golf. Das aseptische Regelventil GEMÜ 567 BioStar control kann ab sofort bis zu einer Nennweite DN25 und damit bis zum einer max. Durchflussmenge von 15m³/h bezogen werden. Gleichzeitig wurde die Auswahl an elektromotorischen Antrieben für dieses Ventil vergrößert. Um das Produktportfolio von Ventilen für hygienische, sterile und aseptische Prozesse um ein sehr präzises Regel- und Steuerungsventil zu erweitern, entwickelte das Unternehmen GEMÜ, führender Hersteller voN Ventil-, Mess- und Regelsystemen, erstmals eine völlig neue Dichttechnologie, welche optimal das bewährte aseptische GEMÜ Ventilprogramm ergänzt. Mit 567 Biostar control, basierend auf der GEMÜ PD-Technologie, wurde eine völlig neue Ventilgeneration konstruiert, die für die Regelung kleiner Durchflussmengen im Bereich Pharma, Food und Biotech prädestiniert ist. Durch die PD-Technologie sind die beweglichen Teile des Antriebs hermetisch vom Produktbereich abgegrenzt. Außerdem ist durch diese hermetische Abgrenzung ein Wechsel des Antriebs bei anliegendem Druck ohne Verunreinigung des Mediums möglich. Neben den bereits verkäuflichen Varianten mit manuellem und pneumatischem Antrieb wurden neue elektromotorische Varianten für den Markt realisiert. Mit einer elektromotorischen Variante des Ventils GEMÜ 567 Biostar control wurde das weltweit erste realtimefähige Regelventil entwickelt. Aufgrund der Kombination von PD-Technologie und Elektroantrieb in Edelstahlausführung ist dieses Ventil die erste Wahl bei der Regelung von Kleinmengen im Pharma- und Biotechnologie-Bereich, wenn keine Druckluft eingesetzt werden soll oder besonders hohe Anforderungen an Präzision und Geschwindigkeit gestellt werden. Durch die hohe Lebensdauer der PD-Membrane (über 7 Mio. Schaltwechsel), das wartungsarme Design und der Antriebstausch bei anstehendem Medium, können die Laufzeiten der Anlage auf ein Maximum gesteigert werden. Mit der Erweiterung des Nennweitenbereichs auf DN 25 vergrößert GEMÜ nun den kv-Bereich bis auf ca. 15 m³/h nach oben. Das Ventil GEMÜ 567 Biostar control ist vorgesehen für alle Regelprozesse im hygienischen und sterilen Bereich bis hin zu aseptischen Anlagen der Pharmazie, Biotechnologie sowie Nahrungsmittel- und Getränkeindustrie, aber auch für industrielle Prozesse und aggressive Medien. Es ist bestens geeignet und völlig unbedenklich für öl- und fetthaltige Medien infolge des PTFE-Dichtungssystems. Das Ventil eignet sich für die exakte Regelung von kleinen Mengen in der Medizin- und Lebensmitteltechnik (Milch-, Joghurt-, Käseproduktion), der Pharmaindustrie und im Kosmetikbereich. Aufgrund der Vielzahl von Kombinationsmöglichkeiten von Antrieben, Bussystemen und Steuerungen kann es darüber hinaus für sämtliche erdenklichen Prozesse bis zu Realtime-Anwendungen, entsprechend den Kundenanforderungen, adaptiert werden. 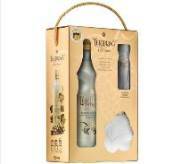 Tekirdağ Rakı Gold Series ist ab sofort in einer hochwertigen Geschenkpackung erhältlich, die neben jeder Aktionsflasche Tekirdağ Gold 0,7l ein exklusives Rakı-Glas und ein Mezze-Teller für die Konsumenten bereithält. Das Rakı -Glas besticht durch sein edles Design, das die Flaschenform von Tekirdağ Rakı Gold aufgreift und mit dem unverkennbaren goldenen Logo verziert ist. In Kombination mit dem edlen, weißen Mezze-Teller bietet es eine hervorragende Möglichkeit, das Geschmacksprofil des im Barrique ausgebauten Rakı umfassend und stilecht zu erkunden. Der Mezze-Teller wurde in Form eines Weinblattes gestaltet und erweist sich so nicht nur als Blickfang auf der Rakı-Tafel, sondern vermittelt den Reichtum der türkischen Tekirdağ-Region, die unter anderem für ihre erlesenen Weintrauben bekannt ist. Tekirdağ Rakı ist das repräsentative Aushängeschild der gleichnamigen türkischen Region und der dazugehörigen hohen Destillierkunst. Die global derzeit schnell an Bekanntheit gewinnende Marke gehört dem Unternehmen Mey İçki, das neben weiteren Produkten auch stolzer Inhaber und Produzent des Anis-Weltmarktführers Yeni Rakı ist. Aus der türkischen Hauptstadt Istanbul sind es ungefähr zwei Stunden bis man in der Provinzhauptstadt Tekirdağ angekommen ist. Die Stadt hat knapp 150.00 Einwohner, liegt auf dem europäischen Kontinent und wird in der Türkei auch liebevoll als "Perle der Marmara" bezeichnet. Historischer Reichtum ist ein wesentliches Merkmal der Region. Die frühste Besiedlung ist auf die Altsteinzeit zurückzuführen und der Verlauf der Zeit zeigt, dass alle großen europäischen und nahöstlichen Kulturen die Region und ihre Vorzüge zu schätzen wussten. So waren sowohl Römer und Griechen vor Ort, aber auch Thraker, Mazedonier, Perser, Byzantiner und Osmanen. Tekirdağ und die dazugehörende gleichnamige Region ist heute das pulsierende Zentrum für viele landwirtschaftliche Erzeugnisse der Türkei. Darunter Getreide, Sonnenblumen, Kirschen, Zwiebeln und natürlich Weintrauben, die schon vor 6000 Jahren in Anatolien heimisch wurden. Mit dem Weinbau begann in den 1930er Jahren auch der Aufschwung zu einer der wichtigsten Raki-Produktionsstätten, weltweit eindrucksvoll repräsentiert durch die gleichnamige Tekirdağ Rakı-Marke Tekirdağ. Leading soft drinks company Britvic is delighted to announce the addition of BrandOpus to its brand design agency roster, to work across a selection of its global portfolio of brands, kicking off with Thomas & Evans. BrandOpus will partner with Britvic on all aspects of brand strategy, visual identity and architecture, as well as packaging design and development – ensuring consistency across all platforms and markets. Britvic’s brand portfolio includes its home-grown GB brands such as Robinsons, J2O, Purdey’s, and Tango, its portfolio in Ireland (including Club and Ballygowan), France (Teisseire, Pressade) Brazil (Maguary and DaFruta) as well as super-premium brands from Britvic’s incubator company, WiseHead Productions. The appointment has been made following a competitive pitch process led by Britvic. BrandOpus joins Britvic’s brand design agency roster which also includes Bloom. Neuigkeiten aus dem Bremer Hafen: Die Traditionsmarke Pusser’s British Navy Rum ist in Deutschland exklusiv beim Bremer Spirituosen Contor an Bord. Der von Experten und Genießern oftmals als „Single Malt“ des Rums bezeichnete Pusser‘s ist in Deutschland ab sofort in drei Qualitäten erhältlich: Pusser’s Blue Label, Pusser’s Gunpowder Proof und ab 2019 der streng limitierte Pusser’s 15 Jahre in komplett neuer Ausstattung. Mit dem charakteristischen Signature-Drink Pusser’s Painkiller® kehrt zudem ein absoluter Tiki-Cocktail-Klassiker in die deutschen Bars zurück. Der berühmte Drink wurde auf den britischen Jungferninseln von einer Barkeeperin namens Daphne Henderson an der Soggy Dollar Bar erfunden und ist der offizielle Cocktail der britischen Jungferninseln. Stilecht wird dieser Cocktail im originalen Pusser’s Becher serviert. 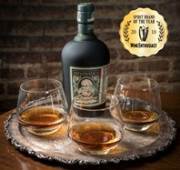 Pusser’s British Navy Rum ist im gut sortierten Fachhandel sowie in den besten Cocktail-Bars Deutschlands zu Hause. Bezugsquellen und die original Pusser’s Painkiller® Becher können unter pussers@bsc-bremen.de angefragt werden. Über 300 Jahre war der legendäre Royal Navy Rum nur den Matrosen der britischen Marine als tägliche Ration vorbehalten. Diese Rationen, auch als „Tot“ bekannt, wurden vom Purser ausgeteilt, welcher im Slang von den Matrosen als Pusser gerufen wurde. Der Pusser hatte keinen einfachen Job an Bord, denn er stand oft unter dem Verdacht den Rum mit Wasser gestreckt zu haben. Um das Gegenteil zu beweisen, mischte er ein paar Körner Schießpulver in den Rum und versuchte diesen zu entzünden. Wenn sich der Rum entzündete, galt er als „at proof“, also als unverfälscht. Wenn nicht, fand sich der Pusser schneller am Grunde des Meeres wieder als ihm lieb war. Heute steht Pusser’s Gunpowder Proof Rum, mit starken 54,5% Vol., in seiner charaktervollsten und reinsten Form für diese ursprüngliche Qualität. Die beliebte Tradition des täglichen Tots endete am 31. Juli 1970, heute bekannt als Black Tot Day. An diesem Tag verteilte die britische Marine ihre letzte Ration Rum. Der legendäre Pusser’s Rum drohte in Vergessenheit zu geraten. Doch im Jahr 1979 erhielt Charles Tobias die Rechte von der britischen Marine und mit Pusser’s wurde der originale Navy Rum als Marke eingetragen und somit auch erstmals der Öffentlichkeit zugänglich gemacht. Noch bis heute werden ein Teil der Einnahmen an Wohltätigkeitseinrichtungen der britischen Marine gespendet. Die Bestandteile des Pusser’s Rum stammen aus Brennblasen in Guyana. Einen besonderen Anteil am einzigartigen Geschmack des Rums haben die Destillate aus der Port Mourant – Double Wooden Pot Still aus dem Jahre 1732. Die „Greenhart“-Dauben dieser historischen Brennanlage haben jahrzehntelang Aromastoffe aufgenommen und bieten einen geschmacklichen Charakter, welcher von modernen Brennapparaten nicht erreicht werden kann. Heute erfreut sich Pusser’s British Navy Rum größter Beliebtheit in den Bars dieser Welt und dient als unersetzlicher Bestandteil vieler rumbasierter Cocktails oder als charaktervoller purer Genuss. Die Feldmuehle GmbH konzentriert sich zukünftig auf die Produktion von Spezialpapieren, d.h. nass- und laugenfeste Etikettenpapiere sowie flexible Verpackungspapiere. Die Feldmuehle GmbH hat am 19.11.2018 Antrag auf Eröffnung des Insolvenzverfahrens in Eigenverwaltung gemäß §§ 270, 270 a Abs. 1 InsO gestellt. gleichtägig die vorläufige Eigenverwaltung angeordnet (71 IN 238/18). Als vorläufiger Sachwalter wurde Herr Dr. Dietmar Penzlin von Schmidt-Jortzig Petersen Penzlin Insolvenzverwaltung Partnerschaft von Rechtsanwälten mbB, Hamburg, bestellt. Die Sanierung des Unternehmens im Rahmen der Eigenverwaltung sieht alle notwendigen Maßnahmen zur Verbesserung der Profitabilität und somit nachhaltigen Wettbewerbsfähigkeit der Gesellschaft vor. Kernpunkt ist die Konzentration auf den Produktbereich Spezialpapiere, d. h. nass- und laugenfeste Etikettenpapiere sowie flexible Verpackungspapiere. Die Produktion von graphischen Papieren wird eingestellt. In diesem Zusammenhang wird die Papiermaschine 2 stillgelegt. Das neue Geschäftsmodell macht Personalmaßnahmen erforderlich, d.h. die Belegschaft wird auf ca. 180 Mitarbeiter reduziert: Den ausscheidenden Beschäftigten wird ein Angebot unterbreitet, in eine Transfergesellschaft zu wechseln, um sich für den Arbeitsmarkt weiter zu qualifizieren. des Sozialplans mit dem Betriebsrat. Diplomático, in Deutschland unter dem Markennamen Rum Botucal vertrieben – eine Super-Premium Rum-Marke, bekannt für außergewöhnlichen Geschmack, Qualität und Mixability – hat die Ehre den Gewinn der Wine Star Auszeichnung „Spirit Brand of the year“ bekannt zu geben. Jährlich krönen die Wine Star Awards vom Wine Enthuisiast Magazin Menschen und Marken, deren Visionen die Wein- und Spirituosenindustrie prägen. Diplomático ist erfreut, als allererster Rum diese Kategorie gewonnen zu haben und damit Teil einer solch angesehenen und erlesenen Gruppe zu sein. Destilliert von Destilerías Unidas S.A. (DUSA) in Venezuela, ist Diplomático eine unabhängige, familiengeführte Marke, die als einer der feinsten Rums weltweit angesehen ist. Diplomáticos delikates sowie charakteristisches Geschmacksprofil ist das Resultat eines einzigartigen Produktionsprozesses. Der Rum wird durch eine Vielfalt an Methoden destilliert, was den preisgekrönten Master Blendern ermöglicht exquisite Blends herzustellen. Aushängeschild und formgewordener Beleg dieser Kompetenz ist Botucal Reserva Exclusiva, das Sipping Rum Aushängeschild der Marke. Aufrecht erhalten wird Diplomáticos hohe Qualität dank seiner wichtigsten Ressource - den Menschen. Das Wachstum der Marke wurde stets von seinen Mitarbeitern und deren Familien begleitet. Auch das langjährige Engagement für die Gemeinde und das Ökosystem, welche die Destille umgeben, trägt seinen Teil dazu bei. Das Unternehmen bietet nachhaltige Arbeitsplätze für über 700 Angestellte in Venezuela und hat bereits solide Sozialprogramme entwickelt, um die Lebensqualität und die Entwicklung des Personals steigern sowie den Einfluss auf die Umwelt zu reduzieren. Wine Enthusiast wird Diplomático offiziell am 29. Januar 2019 in Miami bei der Wine Stars Awards Gala auszeichnen. Rund 150 Teilnehmer haben sich auf dem diesjährigen Innovationsevent der KHS Corpoplast in Hamburg über die Neu-und Weiterentwicklungen von PET-Verpackungslösungen informiert. Die neuesten Lösungen für die Abfüllung von PET-Behältern stießen bei Branchenexperten und Vertretern der Getränkeindustrie gleichermaßen auf großes Interesse. Im Fokus standen die Themen Ressourceneinsparung und Recycling. Bild: Das KHS-Konzept InnoPET FormFill™ powered by LiquiForm™ stieß auf positive Resonanz bei den Gästen. Dabei werden Kunststoffbehälter in nur einem Schritt geformt und gefüllt. Diese Revolution in der Verarbeitung soll Ende 2019 Serienreife erreichen. Der Markt für PET-Verpackungen wachse weiter, betonte Burkhard Becker, Vorsitzender der Geschäftsführung der KHS (hat zum 15. Oktober das Amt an Kai Acker übergeben; Anm. der Redaktion) in seinem Kurzstatement. 2018 betrug der Anteil unter allen Verpackungen bereits 42 Prozent und wird bis 2022 nochmals steigen. Neben leichten, handlichen und Single-Serve-Formaten spielt die Umweltfreundlichkeit dieser Verpackungen eine immer wichtigere Rolle. Dabei nimmt auch die Relevanz des Verpackungsdesigns weiter zu, beispielsweise um den Inhalt möglichst einfach und vollständig aus der Verpackung zu entnehmen. Welche Lösungen KHS für diese Bereiche heute und morgen bietet, zeigte der Maschinen- und Anlagenbauer auf der Hausmesse – zunächst in Vorträgen, anschließend mit einer Werksführung. So stehen mit dem Smart-Line-Konzept vor allem Innovationen in folgenden Bereichen im Vordergrund: einfach zu bedienende Maschinen, Konzepte für die parallele Abfüllung mehrerer Produkte auf einer Linie, eine einfachere, schnellere und sicherere Formatumstellung und die Schonung von Ressourcen im Produktionsprozess. Besondere Aufmerksamkeit erfuhr unter anderem das KHS-FreshSafe-PET®-Beschichtungsverfahren. Diese Glasinnenbeschichtung für PET-Flaschen ist vor dem Hintergrund des neuen Verpackungsgesetzes, das am 1. Januar 2019 in Deutschland in Kraft tritt, von wachsender Bedeutung für hiesige Saft- und Nektarabfüller. Bisher sind herkömmliche Verpackungen in diesen Segmenten wegen des Zusatzes von Additiven schwer recycelbar. Ihnen droht in Zukunft ein sogenanntes Beteiligungsentgelt, das der Getränkehersteller entrichten muss. Der Einsatz der KHS-Plasmax-Glasinnenbeschichtung ermöglicht ein Flasche-zu-Flasche-Recycling und schafft somit eine Lösung, das Inverkehrbringen nicht werkstofflich wiederverwertbarer PET-Einwegflaschen mittel- bis langfristig zu reduzieren. Auch das Konzept InnoPET FormFill™ powered by LiquiForm™ stieß auf positive Resonanz bei den Gästen. Dabei werden Kunststoffbehälter in nur einem Schritt geformt und gefüllt. Diese Revolution in der Verarbeitung erreicht Ende 2019 Serienreife und wird erstmals an einen Kunden geliefert. Sie punktet insbesondere bei der Ressourceneinsparung im Produktionsprozess. So wird der Energieverbrauch für das Streckblasen nochmals um bis zu 50 Prozent gegenüber aktuellen BloFill-Systemen reduziert. Zudem ermöglicht das kompakte Maschinendesign mehr Flexibilität und eine über 40-prozentige Platzersparnis gegenüber Maschinen mit vergleichbarer Leistung. Lobende Worte für die Innovationen und die gute Arbeit aller Kolleginnen und Kollegen in den vergangenen Jahren fand auch Geschäftsführer Thomas Karell. Er leitet seit 2011 die KHS Corpoplast. Wie erfolgreich der Standort Hamburg ist, zeigt allein die wachsende Belegschaft: Die Zahl der Mitarbeiter bei KHS Corpoplast stieg zwischen 2008 und 2017 um mehr als 30 Prozent. Die Entwicklung des Standorts treibt das Unternehmen mit weiteren Investitionen voran: unter anderem mit einer neuen Produktionshalle, einem Technologiezentrum, steigenden Kommissionierkapazitäten und neuen Mess- und Laborgeräten. What’s porter, vanilla and barrel-aged all over? The fourth release in our taproom Mothership Series, of course! Developed after reflecting on youthful dalliances of yore, Panther Cub is a small porter aged in a combo of BLIS maple syrup bourbon barrels and regular bourbon barrels. This fierce cat has been aging in barrels for over two years with whole vanilla beans (just for fun). Tasty maple and vanilla notes plus surprisingly deep character make this rare special release one to look upon fondly. 8.7% ABV 30 IBUs. Like its two predecessors in the series, Panther Cub originated as an immensely popular taproom release. This marks the first time the beer will be bottled. Panther Cub will be available exclusively in our Detroit and Grand Rapids taprooms beginning on December 1 in 6-pack bottles and on draft. It will have a suggested retail price of $14.99/6-pack. Panther Cub is preceded by Red’s Rye IPA, Sleeper Cell and MF Donkey Stout in the Mothership Series. Die kalte Jahreszeit lockt nicht nur mit köstlichem Backwerk wie Plätzchen, Lebkuchen und Stollen, sondern auch mit leckeren Heißgetränken. Neben dem klassischen Glühwein, Tee oder Kakao mit oder ohne Schuss steht auch alkoholfreier Punsch auf Basis von Fruchtsäften hoch im Kurs. Ob klassisch oder außergewöhnlich: Gewürze oder Kräuter müssen rein. Punsch lässt sich mit wenigen Zutaten leicht und schnell zu Hause, unkompliziert auch für größere Runden zubereiten. Die Topfgröße wird dann einfach an die Gästezahl angepasst. Und das Beste: Punsch aus Säften und Nektaren bietet vielfältigen Genuss für alle und jederzeit – auch für Kinder, Autofahrer und all jene, die keinen Alkohol wollen oder mögen. Punsch steht allgemein für heiße Mixgetränke mit Alkohol. Er geht auf ein Getränk indischen Ursprungs zurück, das auf Hindi den Namen „panc“ trägt, was übersetzt „Fünf“ bedeutet. Denn es besteht ursprünglich aus den fünf Zutaten Arrak (Anisschnaps), Zucker, Zitronen sowie Tee oder Wasser mit Gewürzen. Im 17. Jahrhundert brachten britische Seefahrer den Punsch mit nach Europa, und auch in Deutschland hat er eine lange Tradition. Noch um 1900 wurde mit Punsch statt mit Sekt in der Silvesternacht auf das neue Jahr angestoßen. Heute sorgt der warme Punsch in den kalten Wintermonaten für Gemütlichkeit und schmeckt Groß und Klein – denn mit der Grundzutat Saft bietet das Getränk Genuss ganz ohne Alkohol. Für Geschmack sorgen das fruchtige Aroma sowie ausgewählte Gewürze. Für die Zubereitung von Saftpunsch eignen sich sowohl Fruchtsäfte als auch Fruchtnektare gleichermaßen. Die ganze Vielfalt im Saftregal bietet sich je nach Lust und Laune als Punsch-Partner an. Neben milden Säften wie Apfel, Traube oder Birne passen auch kräftige Sorten wie Orange, Sauerkirsche oder Johannisbeere hervorragend, genauso wie Sanddorn und Holunder. Für die Nebenrollen unersetzlich: Gewürze, Kräuter & Co.
Das Mitte Oktober 2018 neu gewählte Präsidium des Verbandes Private Brauereien Bayern e.V. unter Führung von Präsident Georg Rittmayer und Hauptgeschäftsführer RA Oliver Dawid (Bild) konnten hinsichtlich der zukünftigen strategischen Positionierung des Verbandes keine Verständigung erzielen. Das Präsidium hatte deshalb zugestimmt, dass sich Herr Dawid nach erfolgreicher Durchführung des internationalen Bierwettbewerbs „European Beer Star 2018“ und der Messe „BrauBeviale 2018“ aus der operativen Geschäftsführung zurückzog. Das Präsidium des Verbandes freut sich, dass es ihm gelungen ist, mit Dipl. Brau-meister Stefan Stang einen erfahrenen Geschäftsführer und anerkannten Branchen-insider als Nachfolger von Oliver Dawid zu gewinnen. Der 55 jährige Stang kehrt zum 01.02.2019 an seine frühere Wirkungsstätte als Hauptgeschäftsführer zurück. Die Traditionsmarke positioniert sich mit ihrem Relaunch neu auf dem deutschen Markt und bleibt trotzdem den Produktionsmethoden treu, die James E. Pepper 1887 in einem Schreiben festhielt. So bleibt der vollmundige Geschmack der Produkte garantiert, auch wenn sich das Design der Flaschen ändert. Auch der Wiederaufbau und die Neueröffnung der alten Destillerie in Lexington, Kentucky (USA) ist Teil des Relaunches. Die Whiskeymarke der Familie Pepper hat ihren Ursprung im Jahr 1776, dem Anfang der Amerikanischen Revolution, und feierte in der Vergangenheit die größten Erfolge mit Colonel James E. Pepper, der das Unternehmen in dritter Generation führte. Er war auch maßgeblich für die Berühmtheit des „Old Fashioned“-Cocktails verantwortlich und verkündete stets voller Stolz, dass er die Originalrezepte seines Großvaters aus den Zeiten der Revolution nutzte. Heutzutage gehört 1776 zur Georgetown Trading Co., dessen Familientradition im Whiskeyhandel ebenfalls auf die Zeit der Amerikanischen Revolution zurückgeht. Die neu gelaunchten Produkte von 1776 sind ab sofort im Fachhandel oder online erhältlich! Ardagh Group, Glass – North America, a division of Ardagh Group and a leading producer of glass containers for the food and beverage industries in the United States, is pleased to announce that three of its customers were awarded Clear Choice Awards by the Glass Packaging Institute (GPI). Ardagh Group manufactures the award-winning glass packaging for Wicked Weed Brewing’s 500ml Sour, McIlhenny Company’s TABASCO® brand Diamond Reserve Pepper Sauce and Monster Energy Company’s Caffé Monster. For the second consecutive year, Wicked Weed Brewing has won a Clear Choice Award. This year, the unique beer bottle Ardagh Group manufactured for Wicked Weed Brewing won GPI’s Clear Choice Award in the Beer, Cider and Flavored Alcoholic Beverage category. The Wicked Weed 500ml Sour collection captures the perfect blend of a classic Belgian beer bottle and a champagne bottle, with a 29mm cap and neck that accommodate a wine cork to finish the presentation. The long neck, beveled base and deep punt help set this innovative beer package apart from the pack, and showcase the brand’s premium spot on the shelf. The elegant glass bottle Ardagh Group manufactured for McIlhenny Company won GPI’s Clear Choice Award in the Food category. An American tradition since 1868, McIlhenny Company has a rich history of packaging its TABASCO® Sauce in glass containers. For the brand’s 150th anniversary, McIlhenny selected the finest peppers on Avery Island, mashed with a small amount of salt, then aged – some for up to 15 years – and blended with sparkling white wine vinegar, resulting in its TABASCO® brand Diamond Reserve Pepper Sauce. To celebrate this exceptional sauce, it is packaged in a 187ml sparkling wine Champagne Green glass bottle. The TABASCO® brand Diamond Reserve Pepper Sauce bottle is finished with gold label decoration and a gold foil seal, and packaged in a special-edition sealed gold box to make this a collectible. The Newcomer to Glass Packaging category was awarded to the unique glass bottle Ardagh Group manufactured for Monster Energy Company. Monster Energy Company shook up the category with the first sleek, 13.7oz premium glass bottle for Caffé Monster. The coffee has a “take no prisoners” attitude with a glass package to back it up. The tall, slender, square glass bottle delivers on market differentiation, and the traditional coffee house chalkboard font on the label provides a premium, unique look on the shelf. Both the label and cap feature the Monster Claw to ensure consumers that this coffee is brewed with killer Monster flavor and supercharged with Monster Energy blend. The winning glass containers were selected by an independent panel of food and beverage packaging professionals, including Tom Bobak, Founder & Editor-in-Chief, American Craft Beer LLC; Anne Marie Mohan, Senior Editor, Packaging World; and Denise Purcell, Head of Content for the Specialty Food Association. Since 1989, the Clear Choice Awards has honored consumer product goods manufacturers who find unique ways to use glass packaging to tell the story of their brand, create glass packaging designs that stand out on the shelf, and help brands meet sustainability goals. Awards were presented during BRANDPACKAGING's Packaging That Sells Conference in Chicago. A new service from the world’s largest glass packaging container manufacturer Owens-Illinois, Inc. (NYSE: OI) has been named best bottle in glass at the World Beverage Innovation Awards 2018. Unveiled early September this year, O-I : EXPRESSIONS (www.discoverexpressions.com) allows brands to turn their glass packaging into a canvas through digital printing, responding to the growing customer demand for late-stage differentiation. It offers customers the opportunity to create highly personalised and customised glass packaging at flexible volumes, industrial speeds and affordable value with a wide variety of colour and design possibilities. The technology is ideal for producing packaging for short campaigns, such as seasonal promotions or limited editions. It also enables customers to build brand engagement, consumer satisfaction, loyalty and demonstrate premium value. These capabilities are expanded by a premium version of the service, O-I : EXPRESSIONS RELIEF, which enables brands to apply customised tactile digitally printed effects, including embossing and coloured embossing with speed and ease. This takes a step beyond what was previously thought possible in terms of glass customisation and premiumisation. The O-I : EXPRESSIONS service is the result of O-I’s investment in direct2glass industrial digital printing. This technology facilitates contactless direct printing through a Drop-on-Demand process, which only generates an ink drop when it is required for printing. The use of UV inks enables fast and reliable curing, while the CMYK model opens the door to the spectrum of Pantone hues. All inks used by the service are organic, ensuing all glass remains recyclable and fully sustainable. The O-I : EXPRESSIONS services will be made commercially available by mid-2019 in Europe and shortly after in the US. Die Kieler Brauerei Lille setzt ab sofort auf KEGs von SCHÄFER Container Systems. Die 1.500. Brauerei Deutschlands bezieht je 100 Fässer junior ECO KEGs und ECO KEGs in Gebinden zu je 20,5 beziehungsweise 30 Litern. Durch den Umstieg von Einweg- auf Mehrweg-KEGs verfolgt Lille konsequent das Unternehmensziel, einer der wichtigsten Partner der regionalen Gastronomie zu werden. Gleichzeitig profitiert die Brauerei von einer gleichbleibend hohen Qualität ihrer Produkte bei verminderten Kosten und trägt ihrer nachhaltigen Unternehmenskultur Rechnung. Dieser typisch schweizerische Vodka ist das Ergebnis feinster Rohstoffe, leidenschaftlichen Brennmeistern und sorgfältiger Handarbeit, das auf eine fast 100-jährige Tradition zurück geht. Liebe, Zeit und Leidenschaft – das alles braucht es für einen charakterstarken Vodka. Gepaart mit langjährigem Know-how, entsteht XELLENT Swiss Vodka. Wie die Menschen im Luzerner Hinterland hat der XELLENT Swiss Vodka seine Ecken und Kanten. Genauso ist es gewollt, denn der Vodka soll den Geschmack eines Drinks mitbestimmen. Dafür braucht es Qualitätsarbeit, vom lokalen Getreidebauer bis in die Flasche. Während des gesamten Produktionsprozesses spielen regionale Verwurzelung, Bodenständigkeit und Transparenz eine entscheidende Rolle. Von Grund auf wird die Maische aus hochwertigem Brot-Roggen Sorten „Matador“ und „Picasso“ in aufwändiger Handarbeit hergestellt. Diese werden von 18 Bauern im Napfgebiet, im Herzen der Zentralschweiz, angebaut. Die kleinflächige Anbauweise erlaubt einen schonenden Umgang mit den Pflanzen und eine Ernte im besten Reifestadium. Das für die Produktion verwendete Wasser vom Titlisgletscher ist weich, sauerstoff- und mineralhaltig und verleiht dem XELLENT Swiss Vodka seinen exzellenten Geschmack. Durch die erlesensten Rohstoffe wird die kompromisslose Qualität gewährleistet, die für XELLENT unverzichtbar ist. Der erste Rohbrand des XELLENT wird in traditioneller Weise im „Pot-Still-Verfahren“ gebrannt. In einer zweiten Destillation in einer Kolonne mit 45 Glockenböden wird der Rohbrand schließlich gereinigt. Anschließend erfolgt eine dritte Destillation, welche den Geschmack verfeinert. Danach folgt die Reduktion auf Trinkstärke von 40% Vol. Die Basis des XELLENT Edelweiss Gins ist der XELLENT Swiss Vodka, der durch die Expertise und Leidenschaft des Master Distillers für Kräuter und Pflanzen aus dem firmeneigenen Garten veredelt wird. Vor der Destillation werden die Zutaten mehrere Stunden im Vodka eingelegt. So können sich die Aromen und Geschmacksnoten der Wacholderbeeren und Kräuter wie Zitronenmelisse, Edelweiss, Waldmeister und Lavendel optimal entfalten. Eine sorgfältige Destillation und das Hinzufügen von Gletscherwasser – das ergibt den XELLENT Swiss Edelweiss Gin mit einem Alkoholgehalt von 40% Vol. Anlässlich der Galaveranstaltung von PROMARCA erhält Rivella für ihre Produktneuheit Rivella Refresh den Award für die erfolgreichste Produkteinnovation unter den Markenartikelprodukten des laufenden Jahres. Neben reinen Verkaufszahlen waren es 1000 Konsumenten, die klar für das leichte Erfrischungsgetränk aus Rothrist stimmten. Rivella Refresh hat sich in kurzer Zeit zum Verkaufsschlager im Rivella-Sortiment entwickelt. Seit der Lancierung im Frühling 2018 gingen fünf Millionen Flaschen über die Ladentische, deutlich mehr als ursprünglich geplant. «Das zeigt uns, dass wir mit der leichten, natürlich gesüssten Rivella Varietät den Nerv der Zeit treffen», ist Erland Brügger, Geschäftsleiter der Rivella AG, überzeugt. Für den spritzig leichten, weniger süssen Geschmack von Rivella Refresh wurden der Zuckergehalt gegenüber der Original Rivella Rezeptur um 40 % reduziert. Rivella Refresh ist im Schweizer Detailhandel und in der Gastronomie erhältlich in 50 cl-, 125 cl- und 150 cl-PET-Flaschen. Ab März 2019 wird Rivella Refresh zusätzlich in 33 cl-Glasflaschen für die Gastronomie angeboten. Waste prevention is the most efficient way to reduce CO₂ emissions. Fillbee is a ‘mini crate’ was designed to fit in a closed loop deposit scheme and meets all the requirements to minimize environmental impact: combined with reusable glass or PET bottles, they are 100% reusable and 100% recyclable, eliminating consumer waste completely. Furthermore, DS Smith Plastics has the technique to produce crates and Fillbees out of 100% post-consumer waste. The shelf ready packaging that can be designed for any shape of bottle fits in the crates. It is easy to take home, easy to store and easy to return empty bottles to the store. The durable packaging can be stacked when full thanks to the unique feature at the bottom of the pack that prevents direct pressure on the crowns of the bottles to avoid CO₂ loss. Furthermore, the large, recyclable IML labels allow for easy branding at POS and the application of barcodes to scan the products. Die Woche der Abfallvermeidung verdeutlichte die Dringlichkeit einer Abkehr der Wegwerfgesellschaft und die Notwendigkeit einer innovativen Kreislaufwirtschaft. Diese verwendet Rohstoffe nach ihrer Nutzungsdauer und schont so wertvolle Ressourcen. Vorbildlich ist der Wertstoffkreislauf bei EinWeg mit Pfand. Das im September 2018 vorgestellte „Snap Pack“ der Carlsberg Gruppe ersetzt Schrumpfverpackungen clever. Statt Multipacks zu Gebinde zu verpacken, werden sie geklebt. Dieses wird „das Plastikabfallaufkommen signifikant reduzieren (...)“, erklärt Herr Cees ’t Hart, CEO Carlsberg Gruppe. Bis zu 76 % weniger Kunststoff bei den Dosen erhofft sich die Brauereigruppe mit dieser innovativen umweltbewussten Verpackungslösung. Im dritten Quartal 2018 erreichte die Nachfrage nach Aluminiumfolien in Europa Rekordniveau und lag deutlich über dem Vergleichszeitraum in 2017. Dies beruhte vor allem auf der weiterhin beeindruckenden Entwicklung auf den Überseemärkten. Die Lieferungen im dritten Quartal erreichten 237.700 Tonnen, das ist ein Anstieg von 6,4% gegenüber dem gleichen Zeitraum 2017. Die Inlandsnachfrage blieb 2018 stark und belegt eine stetige Erholung der Nachfrage (+0,5%). Noch beeindruckender sind die YTD-Zahlen (Year to Date). In deutlichem Kontrast zu den ersten neun Monaten 2017 liegt die Exportleistung um 28,8% höher. Dünnere Folien, die hauptsächlich für flexible Verpackungen und Haushaltsfolien verwendet werden, nahmen um 4,8% zu. Dickere Folien, die typischerweise für halbsteife Behälter und technische Anwendungen eingesetzt werden, legten um 1,9% zu und bewegten sich nach einem leichten Rückgang in der ersten Jahreshälfte wieder im positiven Bereich. Insgesamt sind die YTD-Lieferungen mit 718.000 Tonnen 3,7% höher als im Vorjahreszeitraum (692.500 Tonnen). Die Zahlen kommentierte Guido Aufdemkamp, Geschäftsführer der EAFA: „Diese guten Ergebnisse basieren auf einer einzigartigen Kombination aus verbesserter Inlandsnachfrage und besonders hoher Nachfrage aus dem außereuropäischen Ausland. Die internationalen Handelsströme von Aluminiumfolie haben sich durch die handelspolitische Maßnahmen in den USA und anderswo erheblich verändert. Diese außergewöhnlichen Umstände werden langfristig möglicherweise nicht anhalten." „Während der europäische Sektor mit der derzeitigen Situation nach wie vor zufrieden ist, reagiert er verhalten angesichts der direkten Auswirkungen, die die volatile weltpolitische Lage auf die Branche haben könnte. Aber wir sind nach wie vor zuversichtlich, dass die europäischen Walzfolienunternehmen im laufenden Jahr einen weiteren Absatzrekord verzeichnen werden", fügte er hinzu. Crown Bevcan Europe & Middle East, a business unit of Crown Holdings, Inc. (NYSE: CCK) (Crown) (www.crowncork.com), has been debuting several decorative finishes at BrauBeviale 2018 to help beverage brands enhance visual appeal and foster greater interaction with consumers. The finishes are an extension of Crown’s “Colourful World” technology portfolio, which addresses the need for greater differentiation at the point of purchase and helps brands push the boundaries of functionality and creativity. -Sparkle, which features actual sparkling elements, is ideal for adding a premium look to packaging. At the show, Crown has also been featuring its Reactinks™ technology – an ink that reacts to, and changes color at each stage of consumption, for maximum consumer engagement. Affected by both temperature and sunlight, the Reactinks™ technology will reveal the amount of cold beverage left in a can, as well as display different colours in the areas shaded from light, for example, where a consumer holds the can. To demonstrate the impact that decorative finishes can have, Crown’s booth includes several recent commercial launches. Among them there are Coca-Cola Turkey’s thermochromic summer designs featuring thermochromic inks as well as new cans created for Mountain Dew that utilize fluorescent ink. After introducing a brighter colored bottle to the market, Mountain Dew duplicated the neon effect on a special edition can range across the Middle East. -Emprint™ – Crown’s latest finish that creates a ‘micro-embossed’ effect on the surface of the can. Emprint™ enables features such as a premium tactile feel or grip on the can as well as helps accentuate a selected part of the design. The light refracted by the textured surface offers the container new dimensions by creating a matt, gloss or 3D effect. -ClickerCrown – A modernization of the original crown cork (also known as the bottle cap) developed by the Company’s founder, William Painter, in 1892. The twist off crown cork produces a fresh ‘click’ sound when opened, providing visual, audible and tactile interaction during the opening experience. -CrownConnect™ – Developed in conjunction with EVRYTHNG, a GS1 US Solution Partner, the technology made its commercial debut with FACT water and its Almond Blockchain platform. CrownConnect™ serves as the enabler by providing the scannable codes necessary for access. In addition to helping brands building loyalty through rewards and contests, the platform also delivers critical purchasing data that can help to shape future marketing and promotional campaigns. Es läuft für ACTIVE O2: Dank des höchsten Marktanteilanstiegs sowie stärksten Käuferzuwachses in seiner Warengruppe wurde ACTIVE O2 gerade von der Lebensmittel Zeitung zur Topmarke 2018 gewählt und ist somit Deutschlands Erfrischung Nr. 1. Aber damit nicht genug, die Adelholzener Alpenquellen frischen ihre Lifestyle-Marke komplett auf: Ab sofort können Fans ihren Durst mit drei neuen Sorten des mit Sauerstoff angereicherten, sportlichen Erfrischungsgetränks löschen. Dazu ist die berühmte Flasche mit Sportslock-Verschluss jetzt sogar noch griffiger: Das neu gestaltete Design mit den stilisierten Bergelementen, die auf die Heimat des enthaltenen Adelholzener Mineralwassers Bezug nehmen, sieht nicht nur sportlich edel aus, auch die Haptik wurde verbessert. Ein neues, noch klareres Etikettendesign rundet den Auftritt ab. Neu im ACTIVE O2 Team sind seit Herbst die Sorten Lime Orange Blossom und Zitrone Nektarine. Und auch die natürliche Linie von ACTIVE O2 bekommt fruchtigen Zuwachs: Fresh Apple mit 5,5 Prozent Saft. Alle drei garantieren sofortige Erfrischung und besten Geschmack. Der Sauerstoff in ACTIVE O2 und die feinen Noten von Limette, Orange, Zitrone und Grüner Apfel wecken neue Motivation. Sportlichkeit und Stil in perfekter Kombination: Die ACTIVE O2 Flasche mit dem einzigartigen Sportslock-Verschluss kommt ab sofort im überarbeiteten Design. Wie alle Produkte der Adelholzener-Markenfamilie trägt sie jetzt ein unverkennbares Herkunftssiegel: das ikonische Alpenpanorama als erhabene Prägung auf der gesamten Flasche. Dieses Stilelement unterstreicht damit einmal mehr die Herkunft des Adelholzener Mineralwassers: die bayerischen Alpen. Die besondere Prägung der Flasche sieht aber nicht nur edel aus, sondern hat auch einen ganz praktischen Nutzen: Durch die Struktur hat die Flasche eine deutlich bessere Haptik, sie ist ab sofort noch griffiger und formt sich schneller zurück – für mehr Komfort beim Gebrauch. Zudem ziert künftig ein höheres Etikett in neuem Format die Flasche. Unter der Marke finden Fans in bunten, kräftigen Lettern die jeweilige Sorte. Dabei erhält jede Geschmacksrichtung ihr ganz individuelles Design, denn die Farben und Buchstabengrößen variieren von Sorte zu Sorte. Damit ist für fröhliche Unterhaltung im Regal gesorgt. Parallel zum ACTIVE O2 Marken-Update kommt auch frischer Wind in die Kundenkommunikation. Die Website www.activeo2. de wird überarbeitet und noch interaktiver gestaltet. So können Fans jederzeit alle Informationen über ihre Lieblingsprodukte und aktuelle Mitmach-Aktionen abrufen und interagieren. Ziel des Relaunch ist es, noch näher an den Interessender ACTIVE O2 Verwender zu sein und die Marke immer wieder neu aufzuladen. SIGNATURE PACK von SIG hat eine weitere wichtige Branchenauszeichnung erhalten: den Gulfood Manufacturing Industry Excellence Awards, der jetzt auf der Gulfood Manufacturing in Dubai verliehen wurden. SIGNATURE PACK, die weltweit erste aseptische Kartonpackung mit 100%igem Bezug zu pflanzlichen nachwachsenden Rohstoffen, wurde mit dem "Environmental Award of the Year" ausgezeichnet. Mit dieser Auszeichnung würdigt die Jury die Bedeutung dieser außergewöhnlichen Verpackung für die Lebensmittel- und Getränkebranche. Bild: Min-Kin Mak, Deputy Vice President Corporate Development and Digital Transformation bei SIG, und Ghassan Elassi, Chief Human Resource Officer bei SIG Combibloc Obeikan (JV zwischen SIG & Obeikan Investment Group), nahmen den Preis für SIG bei der Gulfood Manufacturing entgegen. "Nachhaltige Verpackungen aus erneuerbaren Rohstoffen unterstreichen das Engagement unseres Unternehmens, mehr für Gesellschaft und Umwelt zu tun, als davon in Anspruch zu nehmen. Wir sind sehr stolz darauf, dass unser SIGNATURE PACK erneut als besonders umweltfreundliche Verpackung verstanden und gewürdigt wird. Sie treibt den Übergang von konventionellen Kunststoffen aus fossilen Rohstoffen zu solchen aus zertifizierten pflanzlichen Rohstoffen voran. Es ist bereits der dritte Nachhaltigkeitspreis für unser SIGNATURE PACK. Das beweist, dass unsere Verpackung einen Mehrwert für Industrie und Gesellschaft darstellt – und das auf internationaler Ebene“, sagt Min-Kin Mak. Die Gulfood Manufacturing Industry Excellence Awards würdigen Best Practices und Innovationen im Bereich der Lebensmittelindustrie. Die Expertenjury besteht aus internationalen Vertretern der Lebensmittel- und Verpackungsindustrie, Designern, Maschinenzulieferern, Wissenschaftlern sowie Vertretern der Fachpresse, der Regierung sowie von Umwelt- und Handelsorganisationen. In der Urteilsbegründung der Jury heißt es: "SIGNATURE PACK ist eine herausragende Innovation zur Reduzierung von Aluminium und Kunststoff in Verpackungen – ein guter Beitrag für die Umwelt!" SIGNATURE PACK ist eine Verpackungslösung mit Mehrwert, die den Anforderungen der Industrie und den Erwartungen der Verbraucher hinsichtlich umweltfreundlicherer Produkte entspricht. Es ist eine der neuesten Innovationen von SIG. Das Unternehmen hat sich auf seinem ‚Way Beyond Good‘ das Ziel gesetzt, Kunden die nachhaltigsten Verpackungslösungen für Lebensmittel anzubieten. Die Polymere, die für die Beschichtung des Kartons und für den Verschluss des SIGNATURE PACK verwendet werden, stehen über ein Massenbilanzsystem in 100%igem Bezug zu pflanzlichen Rohstoffen. In der Produktion der Polymere werden pflanzliche Rohstoffe mit konventionellen fossilen Rohstoffen gemischt. Für die im SIGNATURE PACK verwendeten Polymere ist eine äquivalente Menge an pflanzenbasierten Rohstoffen in die Herstellung der Polymere eingeflossen. Die erforderliche Menge an pflanzlichen Rohstoffen wird durch anerkannte und geprüfte Zertifizierungssysteme sichergestellt, um eine strenge Rückverfolgbarkeit und Verantwortlichkeit zu gewährleisten. In der MEA-Region werden die Themen Nachhaltigkeit und Verantwortung immer wichtiger. SIGNATURE PACK ist eine schlüssige Lösung, die den Einsatz fossiler Rohstoffe und auch die CO2-Bilanz reduziert. Während die meisten Unternehmen mit ihren Ideen noch in der Konzeptphase sind, handelt es sich beim SIGNATURE PACK bereits um eine marktreife Lösung. Die Realisierung einer neuen Blocklagerhalle am Unternehmensstandort Amerang schreitet zügig voran. Die Fundamente sind fertig betoniert, mit der Errichtung der Gebäudehülle wurde bereits begonnen. Die neue Halle wird die Lagerkapazitäten von Auer um eine Nutzfläche von 6.300 Quadratmetern erweitern. Hier werden zukünftig die vor Ort hergestellten Produkte vor dem Versand zwischengelagert. Mit der großzügigen Dimensionierung ist man für die logistischen Anforderungen der nächsten Jahre ausgezeichnet gerüstet: Acht LKW können nach Fertigstellung gleichzeitig an Verladerampen be- und entladen werden. Die Investition beläuft sich auf ca. sieben Millionen Euro. Die Gebäudehülle wird laut Planung bereits im Dezember 2018 stehen, im Frühjahr 2019 sollen dann die ersten LKWs mit Ware rollen. Vetropack, ein führendes Schweizer Unternehmen in der europäischen Glasverpackungsindustrie, hat den Kaufvorvertrag für ein Grundstück im italienischen Boffalora sopra Ticino unterzeichnet. Dort wird ein neues, modernes Glaswerk entstehen, das bis Ende 2021 das bestehende Werk in Trezzano ablösen soll. Vetropack wird in diesen drei Jahren rund EUR 200 Millionen investieren. Die Vetropack-Gruppe betreibt acht Glaswerke in der Schweiz, in Österreich, Tschechien, Kroatien, in der Slowakei, in der Ukraine und in Italien. Vetropack Italia, die jüngste Tochtergesellschaft, wurde 2015 Teil der Gruppe und hat ihren Sitz in Trezzano sul Naviglio. Das Werk kann jedoch in der Zukunft den hohen technischen Ansprüchen, der steigenden Nachfrage und den geplanten Wachstumszielen nicht mehr genügen. «Deshalb haben wir entschieden, die bestehende Anlage am Lebensende ihrer Schmelzwannen 2021 nicht mehr zu erneuern, zumal die Grösse des Areals einen weiteren Ausbau nicht zulässt. Wir haben in der Nähe einen grösseren Standort für einen Neubau gesucht», sagt Johann Reiter, CEO der Vetropack-Gruppe. «Gefunden haben wir ihn im Industriegebiet von Boffalora sopra Ticino.» Es handelt sich um eine ehemalige Papiermühle und ist im Besitz von RDM Group. Das Glaswerk in Trezzano wird nach dem Produktionsbeginn in Boffalora sopra Ticino geschlossen. Die bestehende Belegschaft wird in das moderne Glaswerk transferiert. Der erste Spatenstich für das neue Vetropack-Glaswerk ist für Ende 2019 geplant, die Eröffnung soll dann Ende 2021 folgen. Vetropack wird in diesen drei Jahren rund EUR 200 Millionen investieren. davon recycelt. Schätzungen zufolge wird sich diese Menge in den kommenden 20 Jahren noch einmal verdoppeln. Mit der so genannten „Plastik-Strategie“ will die Europäische Union dieser Entwicklung einen Riegel vorschieben. Ab dem Jahr 2030 dürfen nur noch rezyklierbare Kunststoffe auf den europäischen Markt gebracht werden. Am 15. Januar 2019 veranstaltet das Schweizerische Verpackungsinstitut vor diesem Hintergrund die SVI/JIG Fachtagung „Anforderungen an die Lebensmittelverpackung der Zukunft“ im Priora Business Center in Glattbrugg. Hochkarätige Referenten der Europäischen Kommission, von Nestlé, Migros, dem Fraunhofer-Institut, Swiss Recycling, der Dualen Hochschule Baden-Württemberg sowie dem Bundesamt für Umwelt (BAFU) erläutern aus ihrer Perspektive die Rahmenbedingungen für die Umsetzung der EU-Vorgaben und gehen der Frage nach, wie die Lebensmittelverpackung der Zukunft aussehen könnte. -Was bedeutet das „Zukunftsbild einer neuen Kunststoffwirtschaft für Europa“ für die Verpackungswirtschaft? -Bietet sich in den Massnahmen zur Vermeidung von Kunststoffabfällen möglicherweise sogar eine unternehmerische Chance? -Welche Alternativen Verpackungsmöglichkeiten gibt es und wie werden sich künftig die Verpackungswelt sowie die Aufmachung der Lebensmittelverpackungen ändern? -Verpackungen – Fluch oder Segen? -Planet oder Plastik? Ausblick auf die Zukunft. 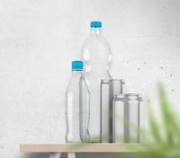 Photo: A team led by researchers from the National University of Singapore has found a way to turn plastic bottle waste into ultralight polyethylene terephthalate (PET) aerogels that are suitable for various applications, including heat insulation and carbon dioxide absorption. Kohlensäurefreie Getränke wie Fuze Tea und kleine Getränkeverpackungen stehen bei den Konsumenten hoch im Kurs. Daher investiert der größte deutsche Getränkehersteller, Coca-Cola European Partners Deutschland GmbH, in neue hochmoderne Produktionsanlagen an den Standorten Halle und Dorsten. Insgesamt 55 Millionen Euro sind hierfür vorgesehen. In Halle wird der größte Teil der kohlensäurefreien Getränke aus dem Hause Coca-Cola wie Fuze Tea und Powerade für den deutschen Markt hergestellt. Die neue Anlage ergänzt die bestehende aseptische Linie in Halle und baut die Kapazitäten von Coca-Cola in Deutschland im Bereich der kohlensäurefreien Getränke deutlich aus. Mit der neuen Linie können bis zu 48.000 Flaschen pro Stunde abfüllt werden. In Halle wird das Unternehmen mit dem Ausbau der Linienkapazität allein 20 neue Arbeitsplätze schaffen. Coca-Cola investiert am Standort Dorsten rund 25 Millionen Euro in eine neue Produktionslinie für Getränke in PET Einwegpfandflaschen. Mit der neuen Linie werden Getränke in kleineren Verpackungen für den Handel vor allem für den Nordwesten Deutschlands produziert. Die Maschine eignet sich für die Produktion von Getränken von 0,25 Liter bis 1,0 Liter PET Einwegpfandflaschen. Diese Investition bedeutet auch einen entsprechenden Personalaufbau. Für die hochmoderne Anlage schafft Coca-Cola rund zehn neue Stellen. Wie viel Verpackung nutzt die Bevölkerung in Deutschland? Warum steigt das Verpackungsaufkommen? Welche Entwicklungen gab es beim Verpackungsrecycling und wie ist der Stand der Dinge? Der nun veröffentlichte dritte Schwerpunkt der AGVU-Studie „Nutzen von Verpackungen“ setzt sich mit diesen Fragen auseinander und veranschaulicht die gesamtwirtschaftlichen und soziodemographischen Entwicklungen, die dem steigenden Verpackungsaufkommen in Deutschland zu Grunde liegen. Das Verpackungsaufkommen hat mit 18,2 Millionen Tonnen in 2015 seinen bis dahin höchsten Wert erreicht. Das entspricht etwa 222 kg pro Einwohner. Die Analyse nimmt auch das Verpackungsrecycling in Deutschland genauer in den Blick: Von den 2015 in Verkehr gebrachten Verpackungen wurden in Deutschland 11,5 Millionen Tonnen werkstofflich verwertet. Das entspricht einer erneut gestiegenen Recyclingquote von 78,3 %; bei einzelnen Werkstoffen werden sogar über 90 % erreicht. Zu den weiteren Erkenntnissen der Studie gehört, dass die Entsorgungskosten für Sammlung, Sortierung und Verwertung von Verpackungsabfällen in den letzten Jahren weiter gesunken sind. Diese Kosten werden letztlich vom Verbraucher über die Produktpreise getragen. 2014 zahlte so jeder Bürger im Durchschnitt nur 9,50 € für die Entsorgung von Verpackungsabfällen. Der Schwerpunkt „Entwicklung des Verpackungsaufkommens und des Verpackungsrecyclings in Deutschland“ ist Teil einer umfassenden Studie der Gesellschaft für Verpackungsmarktforschung (GVM) sowie des Instituts denkstatt zu ökologischen und ökonomischen Aspekten der Verpackung. Sie wurde von der AGVU beauftragt und im Juni 2018 abgeschlossen. UPM Raflatac is introducing a new solvent-free RX adhesive family for durable labeling applications. The RX family is made up of two high-tack products: RX15 for polar surfaces such as metal and glass, and RX18 for non-polar surfaces such as PP and PE plastics. As these adhesives have been specially developed for these specific substrates, they ensure the highest bonding and durability performance - even in the challenging conditions experienced in automotive, industrial, and consumer electronics applications. Both materials in the RX family work hard to ensure that vital information stays in place for the entire lifetime of the label. These extreme-strength adhesives withstand extreme conditions and are resilient to chemicals, and UV light. Furthermore, this high performance is achieved without solvents, making RX adhesives a safer, more sustainable choice for durable labeling applications. "The adhesives in our new RX product family provide extremely strong and enduring adhesion without resorting to solvents, which not only reduces the environmental impact of producing the labels, but also makes them a more ecodesigned choice for product labeling," explains Jouni Iiskola, Segment Manager, UPM Raflatac. "With RX15 for polar surfaces like metal and glass and RX18 for non-polar surfaces like PP and PE plastics, a targeted adhesive can be chosen according to the substrate, leading to excellent product performance, extreme bonding, and life-long durability." 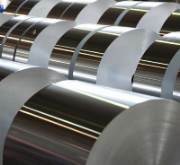 Apart from kegs for transportation of beer to bars and restaurants, Bonderite C-CP 1300 has a wide potential for leveraging similar cost and environmental benefits in many other markets where stainless steel is processed. Examples span from heat exchangers and chemical process equipment to stainless steel devices and machines in the food and beverages industry as well as in the pharma and semiconductor segments. Es ist wieder soweit: Skin Gin sendet mit seiner Neuauflage der Cask Aged – Overproof Edition besondere Grüße aus dem Alten Land bei Hamburg. Der Gin mit dem einzigartigen Geschmackserlebnis aus Marokkanischer Minze, vier Zitrusfrüchten, Koriander und Wacholder wurde zum zweiten Mal 12 Monate in einem Weiß-/Süßweinfass ausgebaut und konnte sich zu einem sensationellen Produkt entfalten. Neben seinem sowohl milden und minzigen als auch frischen und fruchtigen Geschmack konnte der Skin Gin Cask Aged trotz seiner 51% vol. Alk. eine wunderbare Sanftheit aus dem Fass mitnehmen. Die feinen Noten des Holzfasses runden die Overproof Edition perfekt ab. Diese Edition ist auf 1.000 Flaschen limitiert und somit eine echte Rarität. Das Design der handverarbeiteten 0,5l Flasche steht in perfekter Harmonie mit seinem Inhalt. Die dunkelrote Lederoptik mit den goldenen Details umschmeichelt die Bullaugen auf beiden Seiten der Flasche, die den direkten Blick auf den wunderschönen, bernsteinfarbenen Gin zulassen. Besonderes Highlight: Jede Flasche wurde händisch nummeriert, sodass jede Flasche zu einem Unikat wurde. Dieser limitierte Geheimtipp für alle Gin-Liebhaber ist ab sofort bei ausgesuchten Händlern oder im Onlineshop auf www.skin-gin.com erhältlich. One of the UK’s leading craft brewers has announced plans to build a new brewery in Edinburgh which could create up to 30 jobs, BBC reported on November 16. Innis & Gunn said it is expanding to meet growing demand, and support its aim of achieving a turnover of £40 mln by 2021. Its core range of craft lager, IPAs and barrel-aged beers will be produced at the new brewery, which would have a capacity of 400,000 hectolitres. The site has not been revealed and is subject to planning permission. Its existing brewery in Perthshire, which the firm acquired when it purchased Inveralmond Brewery in 2016, will continue to brew the Inveralmond Brewery range of cask and bottled ales as well as focusing on experimentation and limited edition barrel-aged beers. Dougal Gunn Sharp, founder and master brewer at Innis & Gunn, told shareholders of the plans at the company's AGM in Glasgow. He said: "Building a new brewery will cement our Edinburgh heritage as well as creating a focal point for our beers in the capital. "It provides the brewing, packaging and warehousing capacity we need as we continue to strive to meet the surging demand for our lager. "For me, putting the brewery in Edinburgh, where we first brewed Innis & Gunn, feels like we have come home as a business." A new study commissioned by Carlsberg UK has found that more than half of UK consumers believe that low or no-alcohol beer is becoming more socially acceptable, the Drinks Insight Network reported on November 19. Carried out by OnePoll, the study investigated the drinking habits of 2,000 adults in the country with a particular focus on low or no-alcohol beer. The study found that 59% of respondents consumed low or no-alcohol drinks, while 52% agreed that the beverages had become more socially acceptable in the last year or two. Around 28% of the respondents said that they would consider drinking an alcohol-free beer as an alternative to alcohol, and 26% said they would consider it over an alternative soft drink. Carlsberg UK’s marketing vice-president Liam Newton said: “The UK has long been a nation known for its love of beer but we have seen a step-change in people’s attitudes towards moderation when it comes to drinking. The study also found that there are differences in attitudes toward alcohol between men and women. Around 35% of respondents identifying as female said they have become more conscious about their alcohol intake over the last one to two years, compared with 30% of men. It also found that 70% of millennials enjoy the taste of alcohol, while 24% are likely to try an alcohol-free beer. Carlsberg UK’s current collection of low and no-alcohol beers include Carlsberg 0.0% and San Miguel 0.0%. The company is aiming to offer these alcohol-free alternatives in all locations that currently sell its alcoholic options by 2030 to expand customer choice. The company’s commitment is part of its sustainability programme Together Towards Zero, which aims to reduce irresponsible drinking, carbon footprint and water waste, as well as create a zero-accidents culture in its workplace. AB InBev’s Belgian business will slightly raise the price of most of its beers on 1 January. Supermarkets and the Horeca sector could make consumers cover this increase, Het Laatste Nieuws reported on November 17. "We often advise to do so, although this should not necessarily be done immediately," Raf Peeters, from Horeca Vlaanderen Association, comments. According to him, the Alken-Maes Group might also review its prices upwards. AB InBev - which owns Stella Artois, Jupiler, Leffe, Hoegaarden, Belle-Vue and Corona, among others - evokes a "slight increase in prices.’’ A barrel of Jupiler intended for Horeca will come to 153.84 euros, excise taxes and VAT included. For the consumer, "this equates to an average increase of 0.016 euros per glass of beer," AB InBev’s Laure Stuyck asserts. The world's largest brewer will also sell its beer to supermarkets at an average higher price of 0.015 euros per bottle. This price increase was expected because of the drought and the consequent higher grain prices. AB InBev had claimed, however, three months ago that it did not plan to raise prices.